The HiSilicon Kirin 659 is an ARM-based octa-core SoC for mid-range smartphones and tablets. It was announced mid 2017 and features eight ARM Cortex-A53 cores. Four cores can be clocked with up to 1.7 GHz (power saving cores) and four with up to 2.36 GHz (performance cores). The difference to the older Kirin 650 and Kirin 655 SoCs is the higher clock speed of the performance cores (2.35 versus 2.1 and 2.0 GHz). The slightly older Kirin 658 is very similar. The 659 is in our benchmarks around 4% faster than the 658 and offers a better LTE radio (Cat. 13). Furthermore, a ARM Mali-T830 MP2 graphics card (at >=900 MHz), a 64-Bit LPDDR3 memory controller and a dual-sim capable LTE Cat. 6 (max. 300 MBit/s and GSM, WCDMA, UMTS, HSPA+) radio are integrated in the SoC. The processor performance can be compared with the older Kirin 930 and therefore sufficient for daily usage as browsing and non demanding apps. High-end SoCs with Cortex-A57 or A72 cores however should be noticeably faster. The SoC is produced in a modern 16nm FinFET process and is therefore very power efficient. The HiSilicon Kirin 658 is an ARM-based octa-core SoC for mid-range smartphones and tablets. It was announced early 2017 and features eight ARM Cortex-A53 cores. Four cores can be clocked with up to 1.7 GHz (power saving cores) and four with up to 2.35 GHz (performance cores). 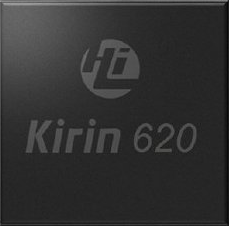 The difference to the older Kirin 650 and Kirin 655 SoCs is the higher clock speed of the performance cores (2.35 versus 2.1 and 2.0 GHz). Furthermore, a ARM Mali-T830 MP2 graphics card (at 900 MHz with 40.8 GFLOPS), a 64-Bit LPDDR3 memory controller and a dual-sim capable LTE Cat. 6 (max. 300 MBit/s and GSM, WCDMA, UMTS, HSPA+) radio are integrated in the SoC. The processor performance can be compared with the older Kirin 930 and therefore sufficient for daily usage as browsing and non demanding apps. High-end SoCs with Cortex-A57 or A72 cores however should be noticeably faster. The SoC is produced in a modern 16nm FinFET process and is therefore very power efficient. The HiSilicon Kirin 620 is an ARM-based octa core SoC for mid-range smartphones. 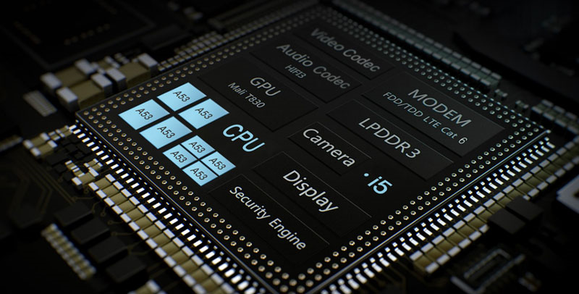 It was announced at the end of 2014 and features eight ARM Cortex-A53 cores at 1.2 GHz (max.). Furthermore, the processor integrates a ARM Mali-450 MP4 graphics card, an LPDDR3 memory controller, an LTE Cat.4 modem, 802.11n WiFi and Bluetooth 4.0. The chip is manufactured in 28nm and relatively power efficient.